I'm using Cura 15.06.03 on Mac OS X 10.9.5; it worked fine until recently when it stopped slicing... the process stops at 1/4 of the way as shown in the attached screenshot. The log doesn't appear to show any errors (screenshot in attachment also). Re-installing the software hasn't solved the issue. Any help would be appreciated. 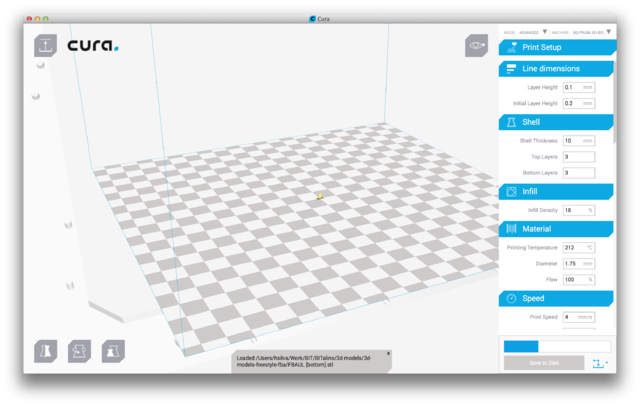 Cura 15.06.03 is still a beta, you can use Cura 14.09 for stable use. 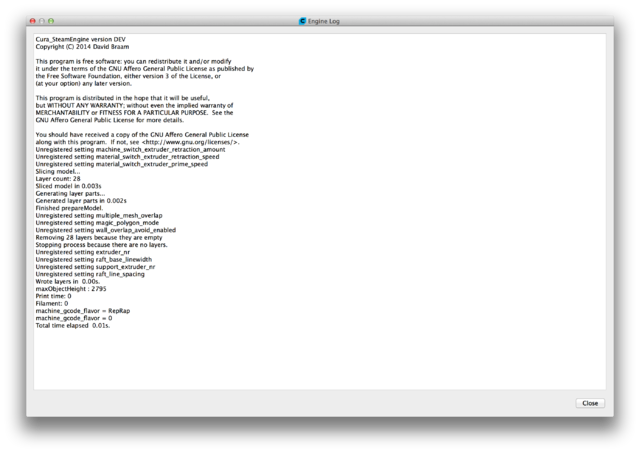 15.04 is definitely fit for stable use.